A state legislator from Eastern Kentucky says she refused to vote as a Democratic convention delegate for President Obama last year because she could not speak to anyone from his administration about coal, but has now met with a key official and hopes to continue the dialogue -- this time in the Central Appalachian coalfield. "Such a meeting, where the protest signs are left at the door, could and should provide greater clarity for both sides," Rep. Leslie Combs of Pikeville, left, wrote in an op-ed distributed to Kentucky news outlets. She began, "During the past five years, we have seen the verbal fighting over coal reach ever-greater heights, and the louder both sides have become, the less each seems to hear the other. Although I have been part of more than a few heated debates – that’s the nature of politics – I have found that, ultimately, diplomacy usually gets me closer to my goal than simply trying to run over the opposition." Combs said that during the delegate selection process, "I made it clear from the beginning that I could not cast a supporting vote if I did not get to speak with someone from the president’s administration about coal. When that did not happen, I stepped aside – not as a party protest, but to uphold a promise I had made to my constituents." But this year, she got a meeting in Atlanta with Gwen Keys Fleming, who was the regional administrator for the Environmental Protection Agency and "is now in a more high-profile role as the federal agency’s chief of staff. My hope is that we can continue this dialogue in the months ahead, either in Eastern Kentucky or West Virginia." The explosion in West, where 2,400 tons of potentially explosive ammonium nitrate was being stored, killed 15 people, injured more than 200, damaged or destroyed at least 150 buildings, and caused $100 million in property damage. At least 800,000 people live within one mile of sites that store similar chemicals, and many small towns and cities, especially in the south and southwest, have large stockpiles of ammonium nitrate. "The executive order also calls for better coordination among federal, state and local agencies in the regulation of chemical plants," Jackson reports. Obama wrote: "The federal government has developed and implemented numerous programs aimed at reducing the safety risks and security risks associated with hazardous chemicals. However, additional measures can be taken by executive departments and agencies with regulatory authority to further improve chemical facility safety and security in coordination with owners and operators." Nearly 13,000 agencies, in all states and four U.S. territories, participate in the program. In the 2012 fiscal year a record $546 million worth of property was transferred. But the program is rarely monitored, and requests are being granted for millions of dollars worth of supplies that police stations can't use, such as scuba equipment in areas with no water, and helicopter parts for stations that don't have a helicopter. "Staffing shortages and budget constraints have made it difficult for federal and state program officials to keep track of all of the property and to prevent police forces from obtaining excessive amounts of used military equipment and other Defense Department-transferred property," Kunzelman writes. Participants are expected to take only what they need. But that hasn't been the case. Rising Star, Tex., which only has one full-time officer and 835 residents, acquired more than $3.2 million worth of property, including nine televisions, 11 computers, three deep-fat fryers, two meat slicers, 22 large space heaters, a pool table, 25 sleeping bags, and playground equipment, Kunzelman reports. Morven, Ga., a town of 700, has received $4 million worth of property, including a decontamination machine missing most of its parts, 20 blankets, 10 two-man combat tents, a hammock, four demagnetizers, two leg curl machines, a shoulder press, a leg press, two treadmills, 20 red gym shorts, 20 fitted bed sheets, 50 flat bed sheets, 355 sandbags and a shipment of bayonets. Eighty-five percent of the nation's most consistently poor counties are in rural areas, and most of those counties are in the South, according to the U.S. Department of Agriculture's Economic Research Service, which defines persistent-poverty counties "as being persistently poor if 20 percent or more of their populations were living in poverty over the last 30 years." Data was used from the 1980, 1990, and 2000 decennial censuses and the 2007-11 American Community Survey, the Census Bureau's constant polling operation. Of the 353 persistently poor counties, 301 are rural, and 252 are in the South, where 26 percent of the population is persistently poor. "There are no non-metro persistent-poverty counties in the Northeast, 29 non-metro persistent-poverty counties in the Midwest, and 20 in the West," ERS says. (Read more) For the state-by-state and county-by-county data of the percentage of total population living in poverty in 2011, click here. "The Hallowichs, who had been longtime critics of shale-gas drilling, claimed that Marcellus Shale gas development -- including four wells, gas compressor stations and a 3-acre water impoundment -- adjacent to their 10-acre farm in Mount Pleasant, Washington County, damaged their property value and their health," Hopey reports. "They said air and water contaminants caused them to experience burning eyes, sore throats, headaches and earaches, and contaminated their water supply." They were awarded $750,000 in the settlement with Range Resources Corporation. In a hearing transcript obtained by the Post-Gazette, Peter Villari, lawyer for the Hallowichs, said that "in 30 years of practicing law he never had seen a nondisclosure agreement that included minor children, and although he advised the Hallowichs to accept the settlement, he questioned if the children's First Amendment rights could be restricted by such an agreement," Hopey reports. Even the judge who presided over the case isn't sure if the gag order can be upheld, saying in the transcript, "That's a law-school question, I guess." The report says that "if allowed to proceed unimpeded and encouraged, oil and gas drilling and production growth could add $380 billion to $690 billion to the overall economy," Gronewold reports. "A high volume of hydrocarbon production and other economic activities associated with it could contribute as much as 3.7 percent to national GDP by 2020." But safety concerns still linger, and some major insurance companies, concerned about potential hazards, "remain unwilling to take on fracking and well drilling risks in shale plays until operating, regulatory and legal liability issues become clearer," Peter Behr reports for E&E News. "Insurance providers want a clearer picture of the potential hazards of deep well hydraulic fracturing in U.S. shale plays as they weigh the costs of covering the risks -- or consider whether to provide insurance at all, industry officials and experts say." Attorney Earl Hagström told Behr, "Environmental risk has been around for a long time. Insurance companies know how to deal with it. But there are a lot of unknowns (in shale gas operations), and a lot of conflicting information. If something goes wrong, how big a problem is it? It is an unresolved issue that will have to play out over the next few years, maybe longer. The insurers and the re-insurers are reticent to participate if they can't understand the risk. If they can't understand the risk, they can't price it." Chemical company INEOS Bio "announced Wednesday that it had produced commercial quantities of ethanol from wood waste and other nonfood vegetative matter," Matthew Wald reports for The New York Times. So far, only a small amount has been produced, but "if ethanol can be produced at reasonable cost from abundant nonfood sources, like yard trimmings or household trash, it could displace fuel made from oil, and that oil, and its carbon, could stay in the ground, reducing the amount greenhouse gases in the atmosphere, experts say." Clarksville Public Schools superintendent David Hopkins said, "The plan we've been given in the past is 'Well, lock your doors, turn off your lights and hope for the best. That's not a plan." Hopkins said he received a flurry of calls after the Newton, Conn. shootings, and thought school officials could protect students better than hiring someone from outside. Hopkins said, "We're not tying our money up in a guard 24/7 that we won't have to have unless something happens. We've got these people who are already hired and using them in other areas. Hopefully we'll never have to use them as a security guard." Participants in the program underwent 53 hours of training, and "are given a one-time $1,100 stipend to purchase a handgun and holster," the AP reports. The cost to the district for ammunition and training is about $50,000, Hopkins said. Training includes role-playing, where students pretend to be armed intruders, or hostages, and employees responded with guns at the ready. Jon Hodoway, director of training for Nighthawk Custom Training Academy, the company conducting the training exercises, said teachers are "going to respond to one thing and one thing alone, and that's someone is in the building either actively or attempting to kill people. That's it. They're not going to enforce the law. They're not going to make traffic stops. If somebody is outside acting the fool, they're going to call the police." Signs will be posted at schools alerting of armed guards, but the identities of employees with concealed weapons will not be announced. Ohio teachers took a similar course, which was considered the first of its kind, earlier this year, A rural Oregon school has tested readiness of teachers by having drills were an armed gunman attacks, while the Arizona Senate passed a bill in March allowing some rural staff members to carry guns. The lawyer for a horse slaughter plant in New Mexico said Valley Meat Co. was the victim of a weekend fire that is suspected to be arson, the El Paso Times reports. Lawyer A. Blair Dunn told the paper, "no major damage" was done to the plant, and referred to the fire as "an act of domestic terrorism." Dunn said plant owner Rick De Los Santos, citing safety concerns, will not appear Friday at a federal hearing for a lawsuit filed by animal protection groups to block the opening of the plant. Unless a judge issues a temporary restraining order Friday, the plant is expected to open Monday. Rural Americans are increasingly finishing high school and pursuing college degrees, but still significantly trail metro areas in earning degrees, according to the U.S. Department of Agriculture's Economic Research Service, which did a data comparison of people ages 25 and older between the 2000 Census and the 2007-11 American Community Survey, the Census Bureau's constant polling operation, reports Agri-Pulse, a Washington newsletter. In 2000, 23.5 percent of rural Americans didn't have a high-school diploma. That dropped to 17.5 percent in 2010 and 17 percent in 2011, and the number with a high school diploma or equivalent rose from 35.9 percent to 37 percent in 2011. Rural residents with at least a two-year degree went from 25.5 percent in 2000 to 29 percent in 2011. Those with a bachelor's degree or higher went from 15.1 percent in 2000 to 17.5 percent in 2010, but dropped to 17 percent in 2011. In metropolitan areas, only 14 percent have less than a high school diploma, 27 percent have a diploma or equivalent, 29 percent have some sort of degree, and 30 percent have a bachelor's degree or higher. Agri-Pulse is subscription-only, but offers a free trial here. Massachusetts has the highest rate of college degrees for rural residents 25 and older at 42.3 percent, according to the Economic Research Service. They were followed by Vermont with 31.3 percent and New Hampshire at 30.4 percent. The lowest rate was in Tennessee, at 13.4 percent, followed by Louisiana and Kentucky at 13.7, percent and Arkansas and West Virginia at 13.8 percent. For a state-by-state and county-by-county list of college graduates click here. Most state economic incentives are designed to bring jobs into a state, not move them within it. But in Ohio, the state is granting a deck-and-fencing materials company a 50 percent tax credit to leave the capital of Columbus for the rural town of Wilmington, pop. 12,500, between Columbus and Cincinnati, Joe Vardon and Dan Gearino report for The Columbus Dispatch. The tax credit will only be given if the Wilmington site creates 85 new positions, in addition to any transfers from the Columbus facility. Sixty-five full-time employees worked in Columbus, and seven have accepted positions in Wilmington. A company spokesperson said there is room in Wilmington for all 65 employees. "Failure to act on immigration reform 'is not an option'," more than 400 business and agricultural groups wrote Tuesday to House Speaker John Boehner and Minority Leader Nancy Pelosi," Chris Clayton reports for DTN The Progressive Farmer. They wrote, "Reform of an outdated, broken immigration system is essential if we are to achieve a fully revitalized economy that provides rewarding and lasting jobs and opportunities for all Americans." The business groups argued that reform would help stimulate the economy. There are about 11 million illegal immigrants in the U.S., many of whom work in agriculture and small businesses. About 70 percent of U.S. farmworkers are thought to be in the country illegally. The White House also emphasized agriculture and rural America in a report saying the current immigration system "fails to support a predictable and stable workforce. Moreover, there continues to be insufficient U.S.-born workers to fill labor needs. . . . To this end, the president urges the House of Representatives to take action and move the Senate bill or similar comprehensive legislation forward, and stands willing to work with all parties to make sure that commonsense immigration reform becomes a reality as soon as possible." Researchers at the University of Kentucky, the University of Kansas, and Tennessee State University analyzed data in Appalachian regions in Kentucky from 1987 to 2005 "to access the degree to which highly credentialed teachers can be recruited and retained by less-advantaged rural districts," the Journalist's Resource reports. The study, published in The American Review of Public Administration, found some alarming data, such as that "teachers who at some point fail a certification exam -- regardless of where they come from -- are more likely to be employed in Appalachia." The study found that teachers educated in Appalachia tend to stay there, although those who scored higher on tests were more likely to get their first job outside of the region, and “the odds of an otherwise average teacher that attended a college or university in Appalachia obtaining first employment in an Appalachian district of average characteristics are well over three times that of her non-Appalachian counterpart." "Day after day, the rains have come to a part of the country that relies on the hot summer sun for everything from backyard tomato sandwiches to billions of dollars in commercial row crops, fruit and peanuts," Severson writes. "Although the total cost to farmers has yet to be tallied, agricultural officials in several states in the Deep South predict severe losses this year that could be in the billions of dollars." The wild horse population n the Western U.S. is being controlled one horse at a time through $25 contraceptive darts, but the hard part is tracking down the horses through vast, difficult ranges, Phil Taylor reports for Environment & Energy News. There are about 40,000 wild horses on public land in the West, and the Bureau of Land Management has corralled more than 100,000 in the past 10 years, placing about half in government-funded holding facilities. Wild horse populations grow 20 percent annually, and experts say the only sustainable solution is an aggressive expansion of fertility control, Taylor writes. Holly Hazard, of the Humane Society of the United States, told Taylor, "We can't gather our way out of it. We can't adopt our way out of it." "BLM officials are cautiously optimistic that the fertility control program can be expanded to more of the agency's 179 herd management areas, which cover nearly 27 million acres," Taylor writes. "Over the past decade, contraceptive darts have been used on 5,400 wild-horse mares in 87 herd management areas" in Colorado, Wyoming, Montana and Utah. Since 2002, when groups first "began darting the herd's mares, reproduction has dropped to more than a dozen foals per year -- less than 10 percent of the herd's 150 horses." "House Majority Leader Eric Cantor has been instrumental this month in dividing the Farm Bill, stalling the naming of conferees and taking an active role in finding some sort of nutrition sweet spot for his caucus to 'eventually' come to terms on cuts to programs such as food stamps," Chris Clayton writes for DTN The Progressive Farmer. "In the process, he's completely undermined more than two years of work by one of his own chairmen, Agriculture Committee Chair Frank Lucas." "Nutrition programs, and the final conference talks on the farm bill, are going to be held hostage this fall for the debt-ceiling debate," Clayton predicts. "Only in the 11th hour, when it looks like those debt-ceiling talks are moving to the brink of another government shutdown, will Cantor decide it's time to advance his pawn. Official conference talks on the farm bill won't happen until the latest debt-ceiling deal determines just what the dollar figure is going to be on nutrition spending." You may already be reading stories about a Government Accountability Office audit saying the Department of Agriculture paid $32 million in crop insurance and conservation aid to dead farmers. That's a lot less than the $1.1 billion that a 2007 GAO audit found had been paid out in six years, most of which was probably paid to estates that were still operating the farms, but that point is not being emphasized in the stories we've seen, or in the audit. to receive payments in excess of their own payment limits." The $32 million was paid by USDA's Risk Management Agency, which administers crop insurance, and the Natural Resources Conservation Service. The RMA "does not have procedures in place consistent with federal internal control standards to prevent potentially improper subsidies on behalf of deceased individuals," and NRCS "does not have procedures to prevent potentially improper payments to deceased individuals," the GAO said. It said the agencies need to do more to prevent such payments. NRCS allows "an executor or other representative to act on his or her behalf to transfer the contract to an eligible successor or to complete the contracted activities," the audit said. It paraphrased NRCS as saying "not all conservation payments to deceased individuals are improper because they may have been made for work performed before the individuals died, or they were associated with easement contracts that became part of the deceased individuals’ estates and remained linked to their Social Security numbers." USDA's Farm Service Agency, which handles crop subsidies, does have procedures in place to prevent improper payments to the deceased, but a random sample taken by GAO showed "9 percent did not have sufficient support to be coded as proper." A footnote says the error margin means the percentage could be as low as 4 or as high as 16. To read the audit, click here. "A tiny liberal-arts school in rural Kentucky that hosted vice-presidential debates in 2000 and 2012 announced a $250 million donation Tuesday, one of the largest single gifts in higher-education history," Bruce Schreiner reports for The Associated Press. "Centre College ... officials said [it] is the largest gift ever to a private liberal-arts college in the United States," Linda Blackford writes for the Lexington Herald-Leader. Centre, in the Central Kentucky town of Danville (Wikipedia map), has an enrollment of about 1,350. "The gift, which the college announced this morning at a press conference, is in the form of stock in Universal Computer Systems Holding Inc. (Reynolds and Reynolds) from the A. Eugene Brockman Charitable Trust, the Advocate-Messenger of Danville reports. "It will be used to establish the Brockman Scholars Program in Leadership and Entrepreneurship." "Each year, 40 Brockman Scholars will receive full scholarships, including tuition, room and board, fees, and stipends to study abroad, Centre President John Roush said. . . . Robert 'Bob' Brockman, the chairman and CEO of Reynolds and Reynolds, is a Centre alumnus and the former chairman of Centre's board of trustees. The trust is named for his father, who died in 1986. . . . Roush said Bob Brockman remains chairman of Reynolds and Reynolds and is confident the company's stock will retain its value," Blackford reports. Are Internet providers trying to fool Americans into believing broadband is readily available? Internet providers claim broadband service is readily available across America, when many rural areas still lack access to high-speed Internet, Susan Crawford writes for Salon. "There is a divide between Americans who have a wire at home and those that don’t, a divide between affluent Americans who will be able to pay for cable’s high-capacity (yet still second-class) high-speed connections and those who won’t, and a divide between America as a nation and those countries that have prioritized symmetric fiber access as a widely-available, reasonably-priced utility. All of these divides cast shadows over our nation’s future." Many companies have switched exclusively to wireless, and have no desire to change anything, she writes. "Because the existing incumbents (i.e., Comcast, Time Warner Cable, Verizon, AT&T) are doing very well in their separate worlds, they have no incentive to allow for any loose talk about changing the status quo. Hence, op-eds in mainstream media claiming that the U.S. is doing much better than everybody thinks. America has a series of regional cable monopolies controlling the pricing and capacity of fixed high-speed Internet access (and every other form of data reaching Americans)." Verizon CEO Lowell McAdam wrote in an op-ed piece in The New York Times: "More than 80 percent of American households live in areas that offer access to broadband networks capable of delivering data with speeds in excess of 100 megabits per second. Almost everyone in the country has several competitive choices for high-speed broadband service (with wireline, satellite and wireless options)." Crawford said McAdam missed the point. "Northern European and Asian countries are upgrading to advanced fiber Internet access connections to homes and businesses," she writes. "The availability of very-high-capacity, inexpensive communications facilities in those countries will trigger direct and indirect economic and social benefits for their citizens, in the form of increased productivity and new ways of making a living. Here in America, we have no national plans for such an upgrade." The title of this year's Poynter Institute and Investigative Reporters and Editors Workshop, scheduled for Sept. 16-20 in St. Petersburg, Fla., is "Investigating Local Government on a Shoestring Budget." It will be "an intensive, practical hands-on workshop to teach journalists how to investigate and report on their local governments ... especially focused toward newsrooms that do not have big budgets or staffs to produce exhaustive projects," the Poynter Institute says. Participants will get hands-on training in how to use spreadsheets and databases, how to use open-government laws and hidden documents, 10 tools to tell the story beyond newspaper pages or the TV screen, and ethical decision-making. The workshop will also focus on examining stories of significance with the help of the journalists who did them, closely examining the records, the methods, and the results that the best investigations produce, and creating solid story ideas. Workshop faculty include: Al Tompkins, senior faculty broadcast and online at Poynter; Mark Horvit, executive director of IRE; Jaimi Dowdell, training director for IRE; John Maines, computer-assisted reporting editor at the South Florida Sun-Sentinel; Kris Hundley, investigative reporter at the Tampa Bay Times; and Nancy Amons, investigative reporter at WSMV in Nashville. More faculty members are expected to be added. Cost of the workshop is $300, very low for five days of programming thanks to a grant from the Buck Foundation. The deadline to apply is Aug. 12. For more information or to apply click here. Sinclair Broadcast Group, which owns or manages with allied companies 149 U.S. television stations, mostly in small and medium-sized markets, is buying seven stations owned by Allbritton Communications, "including WJLA, the coveted ABC affiliate in Washington, D.C.," Brian Stelter reports for The New York Times. "Along with the seven stations, Sinclair will take control of NewsChannel 8, Allbritton’s local cable news channel in Washington. Sinclair said that it would explore the rollout of a national cable news channel using NewsChannel 8 as its core." "The other six stations, all affiliates of ABC, are much smaller," Stelter notes. They are in Birmingham (the 42nd largest market), Harrisburg, Pa. (43rd), Little Rock (56th), Tulsa (59th), Roanoke (68th) and Charleston, S.C. (98th). Washington is the eighth largest market. "With the addition of the Allbritton stations, Sinclair estimated that it would reach 38.2 percent of households in the United States. Public-interest groups might object to the deal, partly because it furthers a consolidation trend and partly because Sinclair’s newscasts have been accused in the past of showing bias toward Republican and conservative causes." (Read more) "Think of it as a mini-Fox News," which does some good work but has an ownership that is plainly biased, writes David Zurawik of The Baltimore Sun, in Sinclair's hometown. He also says talk of a cable news channel is premature. A lawyer from a town of less than 2,500 and a county of 17,000 is the new president of the National Association of Criminal Defense Lawyers. 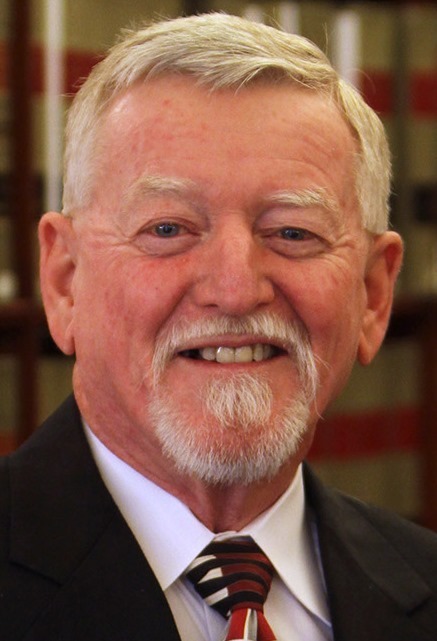 Jerry J. Cox of Mount Vernon, Ky., took office July 27 at the group's annual meeting in San Francisco. The 55-year-old group provided The Rural Blog addresses for its last 25 presidents; none were rural. The presentation was based on data collected over four and a half years at 11 wells around Dimock, Pa., where the EPA closed an investigation into groundwater pollution, saying the level of contamination was below federal safety triggers. The presentation found that "methane and other gases released during drilling (including air from the drilling) apparently cause significant damage to the water quality," and "Methane is at significantly higher concentrations in the aquifers after gas drilling and perhaps as a result of fracking (hydraulic fracturing) and other gas-well work," Banerjee reports. EPA spokeswoman Alisha Johnson told Banerjee, "This presentation represents one (on-scene coordinator's) thoughts regarding 12 samples and was not shared with the public because it was a preliminary evaluation that requires additional assessment in order to ascertain its quality and validity. The sampling and an evaluation of the particular circumstances at each home did not indicate levels of contaminants that would give EPA reason to take further action." 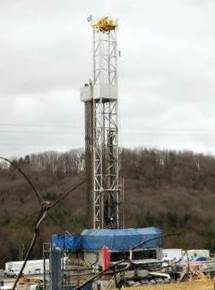 The presentation isn't the only one to raise concerns about drilling in the Marcellus Shale formation; a Duke University study that looked at 141 private water wells near natural gas production found methane in 82 percent of the samples. "The presentation provides charts for nine of the 11 Dimock-area wells, tracking natural-gas production work in the area and the concentration of methane and metals over a four- to five-year period, depending on the well," Banerjee reports. "Some wells underwent a 'short-term disruption,' or a rise in methane in the water six to eight months after nearby gas development activity. Over two or three years, the concentration of methane fell. Four other wells experienced long-term disruption to their water quality. In those instances, methane levels did not fall over time but remained high after an initial increase or began to climb after a period of decline. The presence of metals such as manganese and arsenic also rose over time in some of those wells." Dimock isn't the only area where scientists have concerns. "In March 2012, the EPA closed an investigation of methane in drinking water in Parker County, Texas, although the geologist hired by the regulator confirmed that the methane was from gas production," Banerjee reports. "In late June, the EPA dropped a study of possible contamination of drinking water in Pavillion, Wyo., despite its earlier findings of carcinogens, hydrocarbons and other contaminants in the water." My Congressional District is a new tool that provides access to updated U.S. Census Bureau statistics from the American Community Survey, the bureau's ongoing survey of the American population. Users can search by district for data on age, race, ethnicity, the number of residents born in the U.S. or the state, the ancestry of the district's population, the number of veterans and disabled, and where residents lived one year ago -- a very good tool to track migration. To use the tool, type in the name of a state, and the district number (a map shows how each state's districts are broken up), then scroll through the available statistics. To use the tool click here. In about two months, states and the federal government will open online marketplaces for health insurance, which will also offer subsidies based on income – and the opportunity for the poor to enroll in the Medicaid program in states that have expanded it above the poverty level. By March 31, almost all Americans will be required to have health insurance or pay a penalty. These steps will implement the health-reform law that Congress passed in 2010 and that even the White House calls Obamacare. It will be one of the most complex and challenging changes in American society since World War II, and newspapers are starting to help their readers get ready for it. But such reporting is not, and should not be, solely the province of metropolitan newspapers. 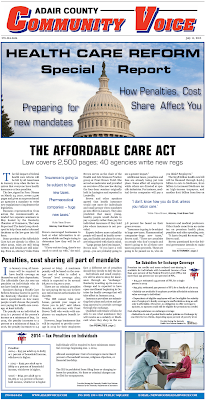 Last week the Adair County Community Voice in Columbia, Ky., published a 10-page special section on health-care reform. 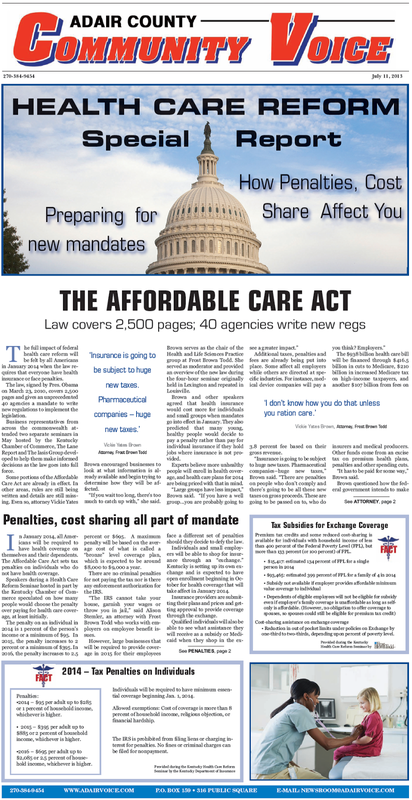 The front page had an overall story on the Patient Protection and Affordable Care Act, based on information gathered at a Kentucky Chamber of Commerce informational meeting, and a sidebar on the penalties and subsidies, with a box on each. Inside were several other stories, mainly from Kentucky Health News, and lots of ads from health-care providers. The really special thing about the special section was that Editor and Publisher Sharon Burton sent the edition containing it to every household in Adair County, using the postal regulation that allows newspapers to send 10 percent of their annual circulation to non-subscribers at subscriber rates. The Institute for Rural Journalism and Community Issues has long urged local newspapers to do this with their health sections, because there is a big overlap among people who most need such information and people who do not subscribe to their local newspaper. Newspapers can sell enough ads to cover the extra printing and postage costs, or even sell a sponsorship for the additional circulation. "Information about health care reform has come in bits and pieces and most of us probably really don't understand it with any depth," Burton told us in an email. "I jumped at the opportunity to attend the Kentucky Chamber of Commerce Health Care Reform Summit because the agenda looked excellent and it has been difficult to get a good overview of how health care reform will impact our local businesses and individuals. We originally planned a total-market issue in June but had to delay it until July. We decided to delay the health care reform section as well so that it could go to everyone. We've had numerous compliments from readers who had said it was the best compilation of information they have seen in one place." To download the Community Voice's health-care reform section, as a PDF of approximately 10 MB, click here.The section is business-oriented, because Burton got much of her information at a Chamber of Commerce seminar. Broader sources include www.HealthCare.gov, the main federal site on the topic; the Kaiser Family Foundation, at www.kff.org; and the state agencies running the insurance exchanges. One good thrice-weekly publisher, Willie Sawyers of The Sentinel-Echo in London, Ky., reports good results from a special health section of 11 half-page units and alternate covers, prepared by Green Shoot Media, which specializes in special sections. "The program abates income taxes for up to five years for anyone who lived outside of Kansas for more than five years, hasn't earned more than $10,000 in Kansas-based income for five years and moves into an opportunity zone county," Wistrom reports. "Eighty-three taxpayers have claimed the Rural Opportunity Zone tax credit on their 2012 tax returns, with $234,000 in credit claimed." One goal of the U.S. Department of Agriculture Rural Development program is to bring broadband access to more rural subscribers. To do that, officials will have a series of regional discussions in every state with stakeholders to address broadband infrastructure needs in rural communities, Tom Steever reports for Brownfield. Doug O’Brien, acting agriculture undersecretary for the program, told Steever that the agency wants “to determine if there are certain action points that the group needs to accomplish to make sure that the state and regions in the state make the most of this new asset." When my former assistant Amy Wilson told me last year she was headed back to the Orange County Register, and informed me of the goings-on there, I said, "It sounds like America's largest community newspaper." A few days ago Rory Carroll of The Guardian wrote in his report on the Register, "Staff call it America's biggest community newspaper." The reasons Rory suggested were different than mine, but they are complementary, and all may be necessary for our near-identical appellations to be true -- and for Aaron Kushner and Eric Spitz, owners of the Register for one year now, to be successful. The staff's description of the paper was embedded in this Guardian passage: " . . . the key is local news, especially topics such as faith, schools, sports, food and crime. It has about 30 photographers, including trainees. . . . It runs 175 weekly reports, with colour photos, of high school sports – everything, girls and boys, football, baseball, basketball, hockey, tennis. A separate section covers high school arts. The paper also offered full subscribers a 'golden envelope' allowing them to donate $100 of advertising to their favourite charity." My description of the Register (circulation 130,000, Sundays 300,000) is based not only on its local focus, but its strong grip on the local-news franchise in Orange County, a market of 4 million people that gets scant coverage from the Los Angeles TV stations and, probably, the Los Angeles Times. If people in Orange County want a lot of news about Orange County, they pretty much have to read the Register, one of its 28 geographic-based weeklies or, soon, the new daily paper that Kushner and Spitz are planning in Long Beach. The Register's circumstances probably mean that its bold experiment (doubling the size of its news staff to 360, for example) can't be replicated at most metropolitan papers, but it does demonstrate that market-to-market differences provide opportunities for experimentation and exploitation -- and that the skills of community and rural journalism can serve large newspapers, too. For the rest of Rory's story, click here. 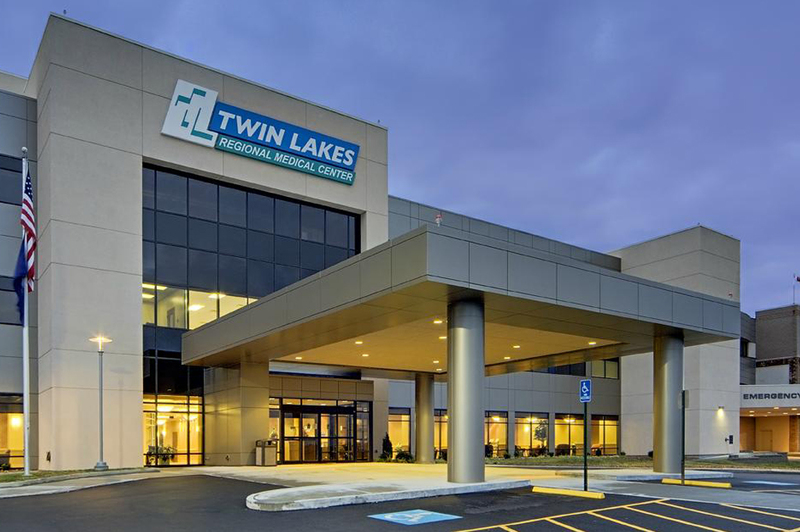 With the rural doctor shortage about to be exacerbated by federally subsidized health insurance and some states' expansion of Medicaid, there will be more competition than ever to recruit physicians, especially to rural communities. Some doctors resist such recruitment, but they are short-sighted, writes Stephen Meredith, former chief executive officer of Twin Lakes Regional Medical Center in Leitchfield, Ky.
"When I became CEO of TLRMC in 1983 our local hospital had seven doctors on its medical staff, so the first order of business was the recruitment of additional physicians, or so I thought. When this idea was presented to the collective medical staff it with was met with a resounding 'NO.' The medical staff’s concern was recruitment would hurt them financially by further 'dividing the pie' of a finite number of patients," Meredith writes for The Record in Leitchfield. But many more doctors were recruited (now more than 30), and the old doctors realized it was a good thing, Meredith writes: "Two of the more vocal physicians against recruitment later acknowledged the addition of more physicians, especially specialists, made their own practices even busier than before. In defense of these men, they were so busy seeing patients in their practices, they had to believe they were seeing everyone who possibly needed medical care. However, they had no idea how many people were leaving our community for health care because of the shortage of physicians."